Jared Willis is an executive with Hudson Pacific Properties and he also is a Brookwood shareholder and an advisor to the firm. From 2010 through 2012 he served as a Project Manager with Brookwood. He has 15 years of design and construction-related experience with a particular focus on information management, sustainability and processes improvement. Jared is experienced in the fields of construction, business development and marketing. 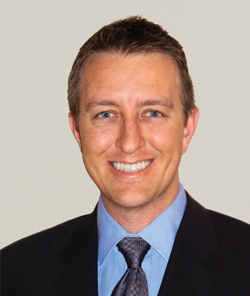 From 2005 until early 2011, Jared was the Director of Sales for BarkerBlue, a Bay Area based construction information management firm focused on document and document procedure management for owners, developers, architects, engineers and contractors. In this capacity, he had exposure to some of Bay Area's largest construction projects, including major corporate technology campuses. Previously, he has held various positions in marketing and business development. Jared holds a Bachelor of Arts degree in Spanish from the University of California at Santa Barbara. He has been a member of the Urban Land Institute's Young Leaders Group since 2007. He is also a LEED Green Associate, holds a CSI Certified Document Technologist certification and is a licensed California Real Estate Salesperson.